If you are unfamiliar with the relatively new technology called a personal mix or personal monitoring systems like Livemix, it’s time to get up to speed. Personal monitor systems allow each performer to have a mix with as much “me” as they want without conflicting with their neighbor. They can allow you to take most if not all the monitors (floor wedges) off the stage, reducing clutter and, more importantly, reducing the fight between stage volume and the house mix. There are so many fantastic benefits to personal monitors! Personal monitor mixing can be at the same time a fantastic tool and a frustrating one. For the tech, it’s great because they don’t have to spend so much time trying to make everyone hear themselves over everyone else. Performers get the benefit of hearing as much of “me” as they want. Mixing personal monitors may not take a technical degree, but its a bit more involved than adjusting the balance on your car stereo. Making a great personal mix is about ensuring you can hear everything you need to perform your best. This is one of those places that the old “less is more” adage is true. Over the next few posts, we will explore some tips to making a great personal mix. And while we won’t dive into the mixing deep end, these principles will help you make a good mix quickly. For the experts out there, these are great principles to teach your volunteers and to help those around you grasp. They will improve your practices, performances, and reduce volunteer frustration. The first thing to know about getting a good personal mix is that you don’t need to hear everything. Now that we have somewhere between 16 and 48 channels (note, most volunteers and musicians have trouble handling more than 24 channels in a personal mix) that we can adjust ourselves, we feel like we need to use them. We don’t. When it comes down to it, there are really only a few things that you need to hear. The first is yourself. In your personal mix, find out what channels represent you and start with those. It might be one channel if you are a vocalist, or a couple if you sing and play an instrument. After, “you”, the foundations of a great personal mix start with a pitch reference and a timing reference. Pitch reference is what you need to make sure you are singling or playing in tune with the song. The instruments or voices that make up your personal pitch reference will vary. It could be the lead vocalist, the piano, acoustic guitar, etc. For illustration purposes, let’s say you are a lead guitar player on a worship team. 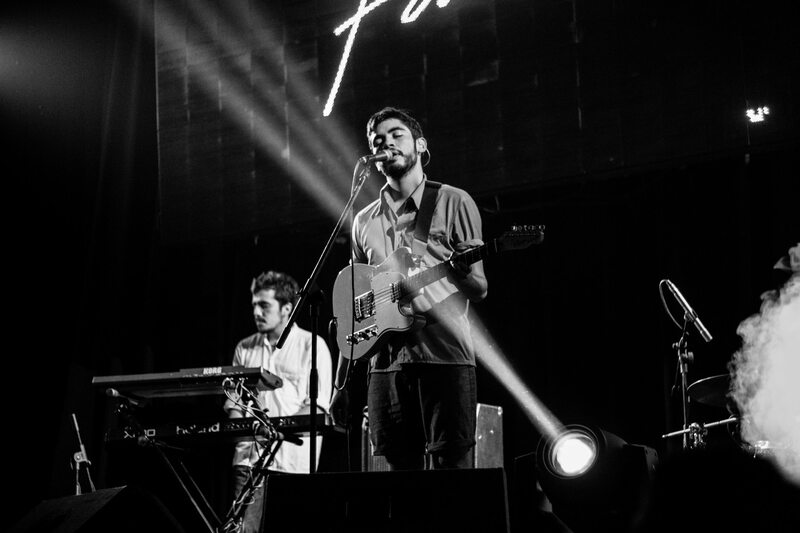 The rest of the band is made up of a worship leader who is playing acoustic, a keyboard player, a synth/pad player, a drummer, a bass player, and three background vocalists. As a lead guitarist, you need to be able to hear the chords being played, the pitch reference, so you know when you are on, or if you are off. You don’t necessarily need to hear the background vocalists, or even the pads. Find out which channel contains the key pitch reference tracks for the song or set, and give those prominence in your mix. But keep in mind that those references will vary from set to set, as songs and personnel change. Identify what your pitch references will be during your week of practice, so that you are totally prepared for rehearsal and performances. Just like the pitch reference will keep you honest where the harmony and melody is concerned, the timing reference will do the same for tempo and feel. If you can’t hear the beat, you can’t sing on it. The timing reference is usually the drums. But you don’t need ALL the drums (if you have the option). Try getting just that kick and snare going, with some high-hats and that’s it. Throw the toms and cymbals back in the mix. You might get some timing or syncopation from the bass player, if so, bring that track up. Remember that the your timing reference may change! Based on your set, it may not always be the drums. It may be the acoustic guitar strum, or the rhythm electric, or even a metronome (click track). And it may vary by song. Be aware of changes to the timing reference tracks over the course of your playlist. If you do use click tracks (and if you don’t, you should), that will most likely be your timing reference. The benefit of the click as reference is that you still have your timing when the drummer stops playing, or when counting in a song. It gives you a lot of freedom but more on clicks in another post. 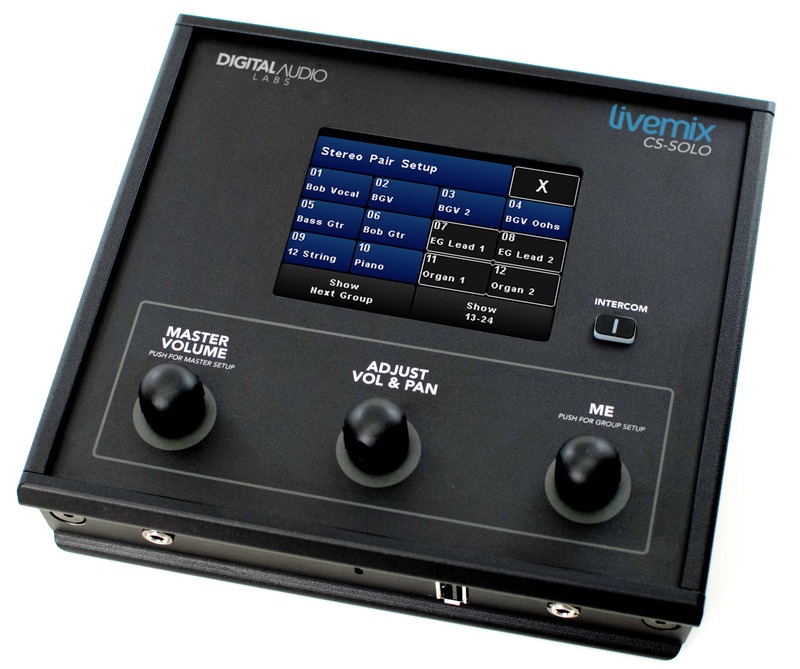 The Livemix CS-DUO and CS-SOLO have built in metronome and auxiliary inputs to make this easy. Mixing this way is harder to do in practice than in theory. We tend to start assigning all the tracks to one of the categories. “I need to hear the background harmonies as pitch reference to my solo.” Probably not. “I need to turn up the pads so that I can harmonize my vocals.” Meh, most likely not. Work at identifying the key pitch and rhythm reference channels and start your mix there. Practice turning down the tracks that you don’t absolutely need to nail your performance. 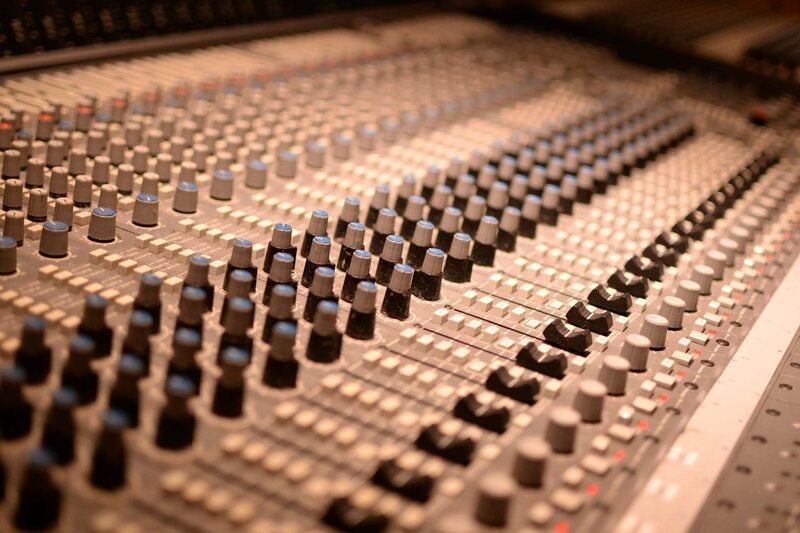 Remember, this is about getting you the mix you need to play your best. We’re not mixing to win a Grammy here. The better you get at reducing the mix clutter, the better your mix will sound, and the better you will perform because of it. The better you get at reducing the mix clutter, the better your mix will sound, and the better you will perform because of it. This post was originally posted at The Church Collective. previous post: Don’t Ditch Analog Just Yet!